Fluffy flapjack studded with real blueberries and pure maple flakes. Do you ever find yourself craving a pancake breakfast at the most inconvenient time? (Like on a Monday morning when you’re already late and running out the door?) We think you're going to love these Kodiak Cakes, which is a portable pancake breakfast in a cup. 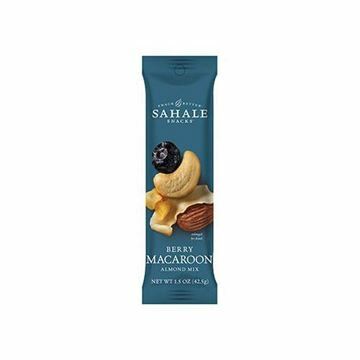 Loaded with hearty whole grains, real blueberries, and 100% pure maple flakes, the Blueberry and Maple Flapjack Cup keeps you full and satisfied all morning long. Simply add water (or milk for extra protein) stir, and microwave for one minute. 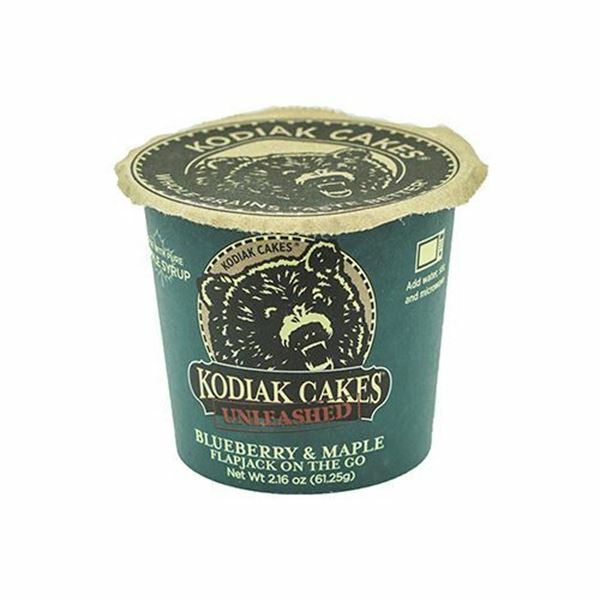 Update your order to get Kodiak Cakes delivered to your door! Contains: wheat and milk. 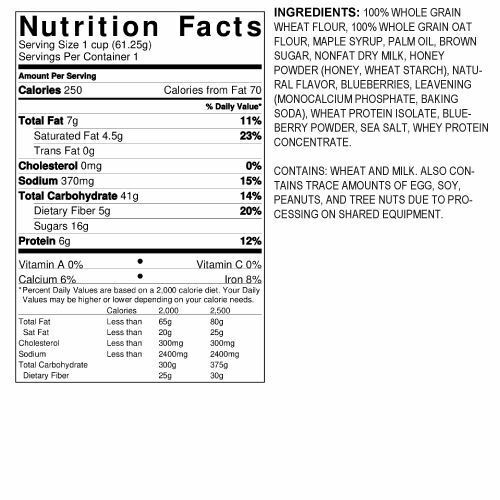 Also contains trace amounts of egg, soy, peanuts, and tree nuts due to processing on shared equipment. 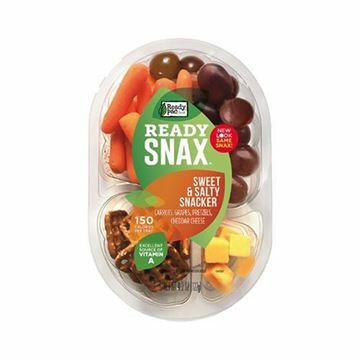 On-the-go snack pack that perfectly combines sweet and salty.